Canadian engineering giant SNC-Lavalin is facing fresh allegations about the company’s close ties to Libya’s former Gadhafi regime including a claim that SNC put the wife of a Gadhafi son on its payroll during Libya’s 2011 civil war, despite UN economic sanctions and Western military intervention. Canadian engineering giant SNC-Lavalin is facing fresh allegations about the company’s close ties to Libya’s former Moammar Gadhafi regime, including the claim in court documents that SNC put the wife of a Gadhafi son on its payroll during Libya’s 2011 civil war, despite UN economic sanctions and Western military intervention. The allegation comes from Riadh Ben Aissa, a former executive vice-president of SNC-Lavalin's international construction arm who has been jailed in Switzerland since April 2012. He is accused of corruption and money laundering after years as a company top-earner who won billions in megaproject contracts in Libya and across North Africa. In Canada, Ben Aissa is also locked in a fierce battle with SNC-Lavalin, which has characterized him as a rogue executive who secretly supported the Gadhafi regime. He was forced to resign in February 2012, and SNC is trying to seize his assets. But in court documents recently filed in Montreal, Ben Aissa is fighting back and has made a string of allegations against the company, including claims that other senior executives had a long history of lobbying the Gadhafi regime, doing favours for family members and funding junkets and lavish entertainment. Ben Aissa’s most contentious allegation is that during the Libyan conflict, SNC-Lavalin temporarily placed SaadiGadhafi’s wife on its payroll in Morocco, “despite the fact she was not one of [SNC’s] employees, to help her and Saadi Gadhafi’s children financially. [Then CEO] Pierre Duhaime was aware of this,” the court filing states. SNC-Lavalin has refused to say whether any money went to Saadi Gadhafi's wife, or whether the company is doing any internal investigation. Duhaime, who was forced to resign in 2012 and faces criminal charges involving alleged bribes paid on a Montreal hospital megaproject, did not respond to questions submitted through his lawyer. However in court documents the company does acknowledge it was aware of UN economic sanctions imposed in March 2011 as Libya's civil war began to shake the Gadhafi regime. Throughout the 2000s, SNC-Lavalin won billions of dollars worth of construction megaprojects in Libya including the building of an airport, large irrigation systems and even a prison. Former CEO Jacques Lamarre met several times with MoammarGadhafi to foster a lucrative relationship. Lamarre and another senior executive, tried to assist Saadi Gadhafi in getting a visa from the Canadian Embassy in Tunis. SNC considered appointing Saadi Gadhafi to a post of vice-president. SNC in 2008 paid $2 million for a visit by Saadi Gadhafi to Canada, picking up the tab for restaurants, hotels and limousines — expenses that were disclosed to the company board of directors. In 2009, Ben Aissa claims, SNC paid for Saadi Gadhafi to visit the Toronto International Film Festival, paying $550,000 for an exclusive night for Gadhafi and some SNC employees featuring a performance by rapper 50 Cent. SNC knowingly paid for a luxury condo in Toronto for Saadi Gadhafi, including $200,000 for remodelling. None of these claims have been proven in court. Former SNC-Lavalin CEO Lamarre told CBC News in a 2013 interview that he travelled to Libya twice in the early 2000s to meet MoammarGadhafi, but never discussed specific contracts or agreements. Lawyers for SNC-Lavalin have filed their own response in court, arguing that in 2011 as Libya's Gadhafi regime was falling, Ben Aissa conspired to help SaadiGadhafi. The company alleges that without its knowledge, Ben Aissa directed the financial controller of the construction arm, Stéphane Roy, to continue paying the fees on the Gadhafi condo in Toronto. SNC also argues Ben Aissa oversaw a secret plot to illegally smuggle SaadiGadhafi and his family out of Libya, contrary to UN sanctions. The company cites payments and emails involving Roy, Canadian consultant Cynthia Vanier and former Gadhafi bodyguard Gary Peters, including one in which Roy allegedly sent a copy of SaadiGadhafi’s passport to Vanier to arrange fake identification. Vanier was arrested in Mexico in 2011 and spent 17 months in jail being tried on accusations she masterminded the plot. Before any verdict, Vanier was released by Mexico's Supreme Court that had ruled her legal rights had been violated. She returned to Canada in April 2013. The RCMP won’t talk about their investigation into SNC-Lavalin, not just in Libya but also regarding allegations of bribery and kickbacks here in Canada. In January 2014 the Mounties charged Roy with violating UN sanctions tied to the condo payments. 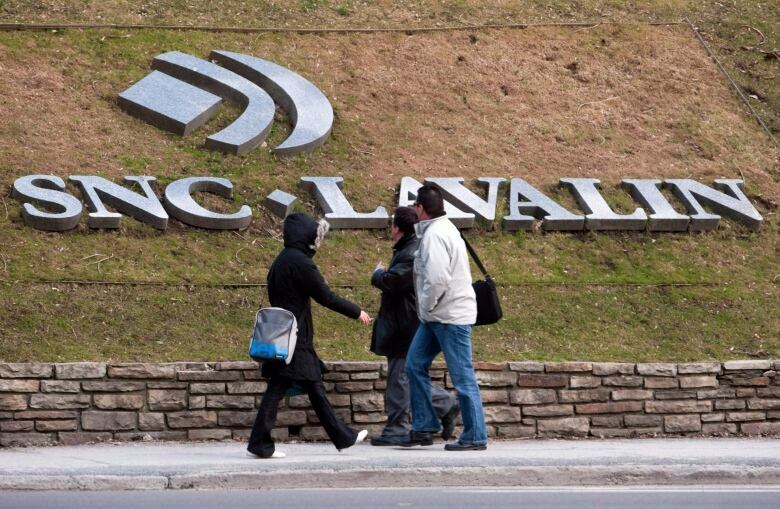 He has not had a chance to answer the charge but he is suing SNC-Lavalin, claiming wrongful dismissal. In January, the RCMP also charged Ben Aissa’s predecessor at SNC-Lavalin Sami Bebawi with fraud, bribery of foreign officials and possession of proceeds of crime. He was in charge of SNC’s international construction division from 1998 until 2006 with major projects in Algeria and Libya. However, the RCMP say they don’t know Bebawi's whereabouts. Please send tips on this story or other stories to Dave Seglins.